I know I sound crazy! 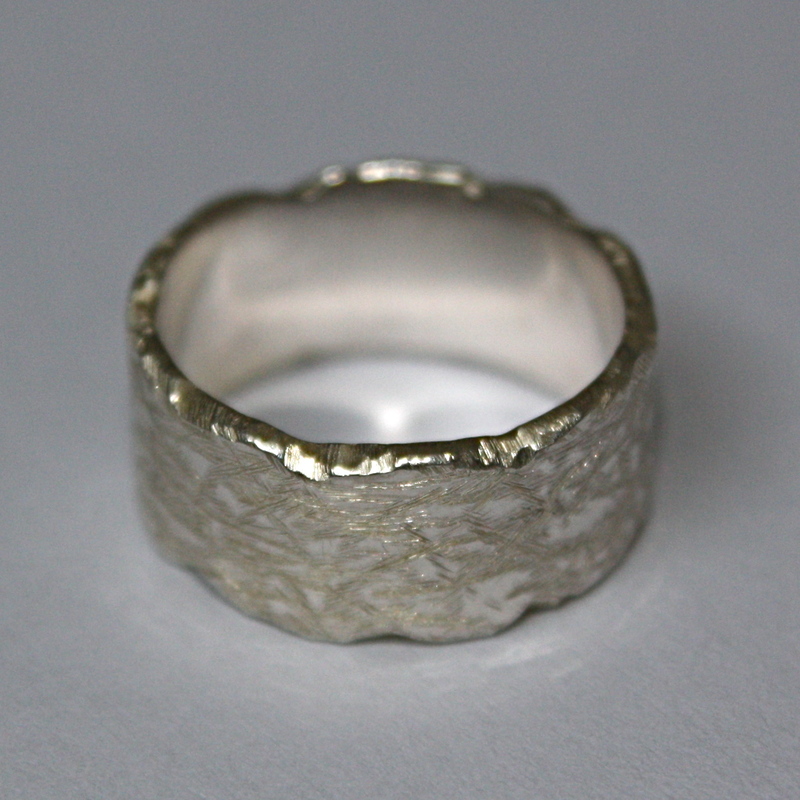 But I am just sooo pleased with the ring I made in Silversmithing. 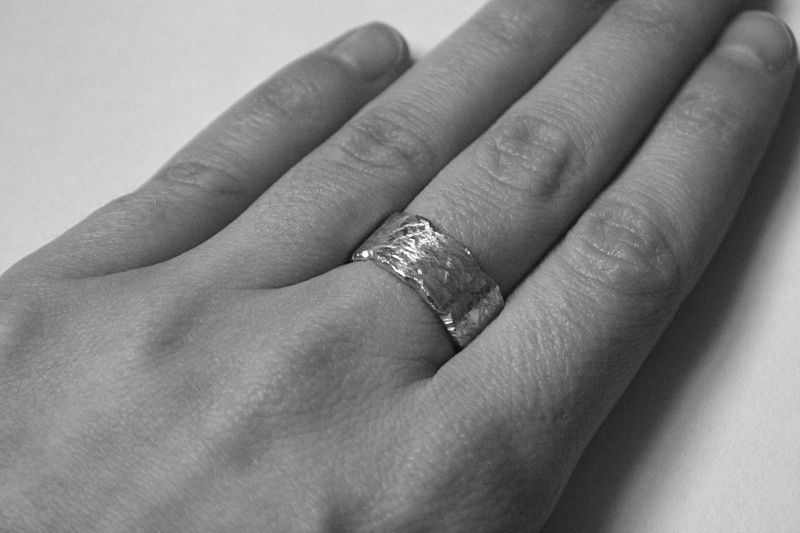 It’s so nice to have a ring that actually fits me (I have tiny hands), one that I’m not constantly worried is going to slip off and get lost. One down four to go! I had my first University interview on Thursday. Wasn’t sure how it had gone but I got a place (yay!) so it couldn’t have been that bad. So glad it’s over, I was so nervous and stressed! 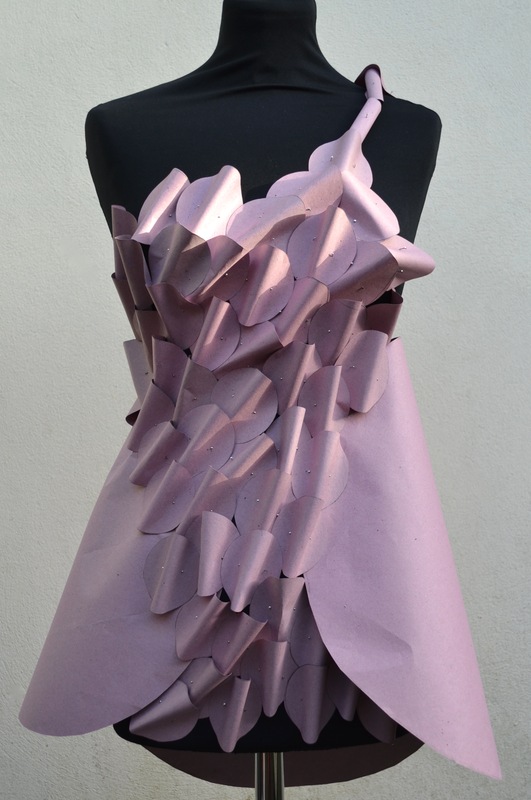 I put some of my current project in my portfolio so here are some more images of my paper dress. 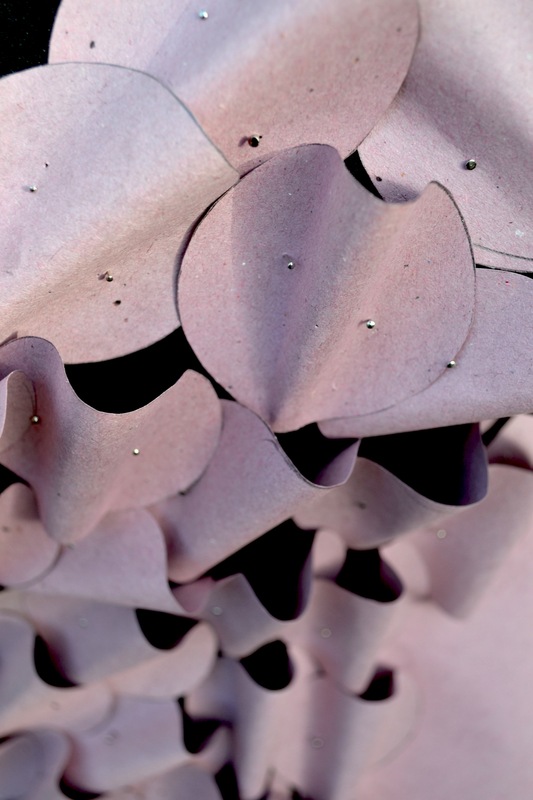 I have also recently been looking at the artist Tara Donovan. 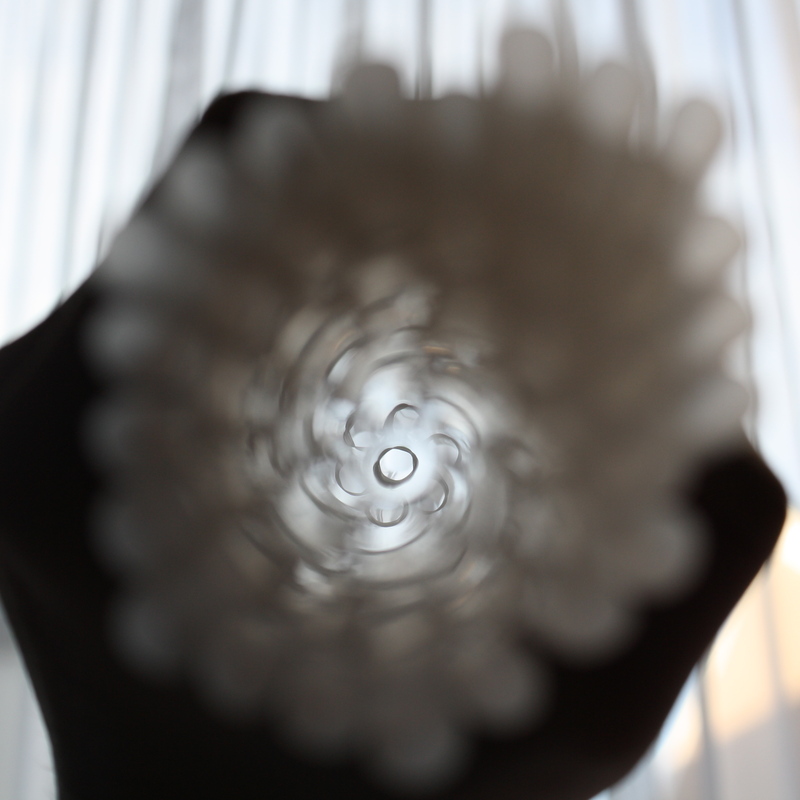 I was particularly taken with her work with drinking straws so I took these photos. 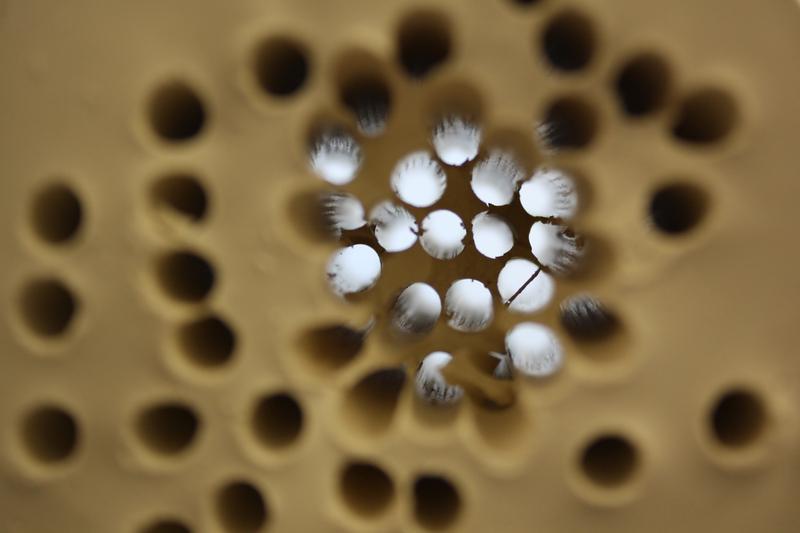 I then took this further by making the negative space, combining the work of Tara Donovan and Rachel Whiteread. 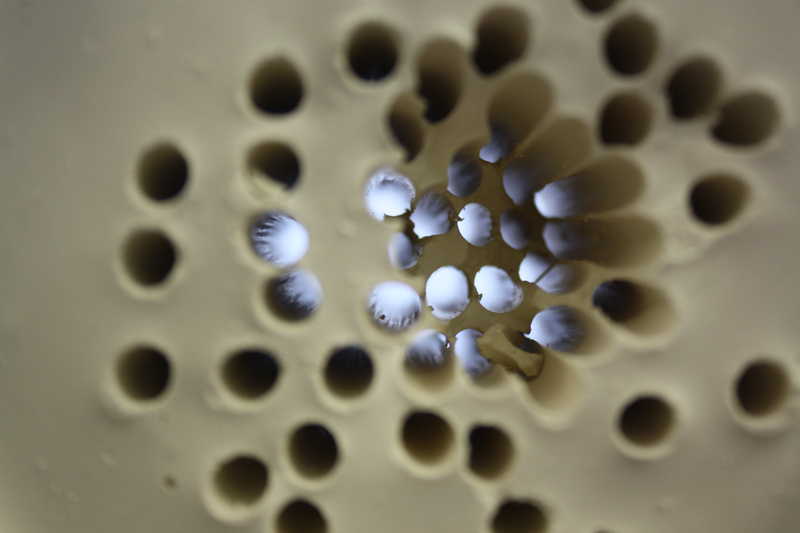 I put some clay at the bottom of a tube and pushed the straws into it. 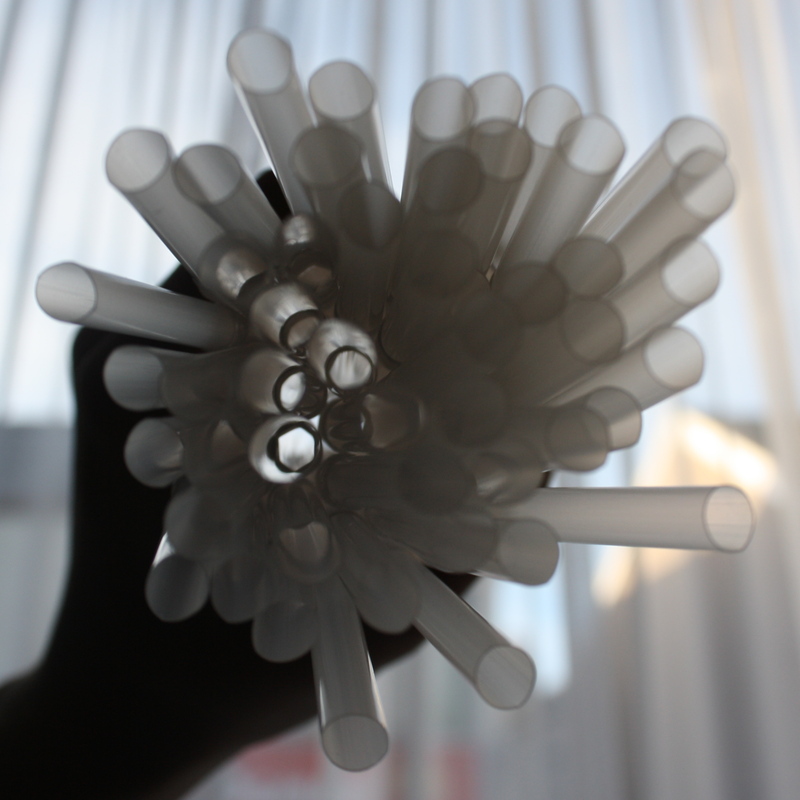 I then poured plaster into the tube, filling the space around the straws. 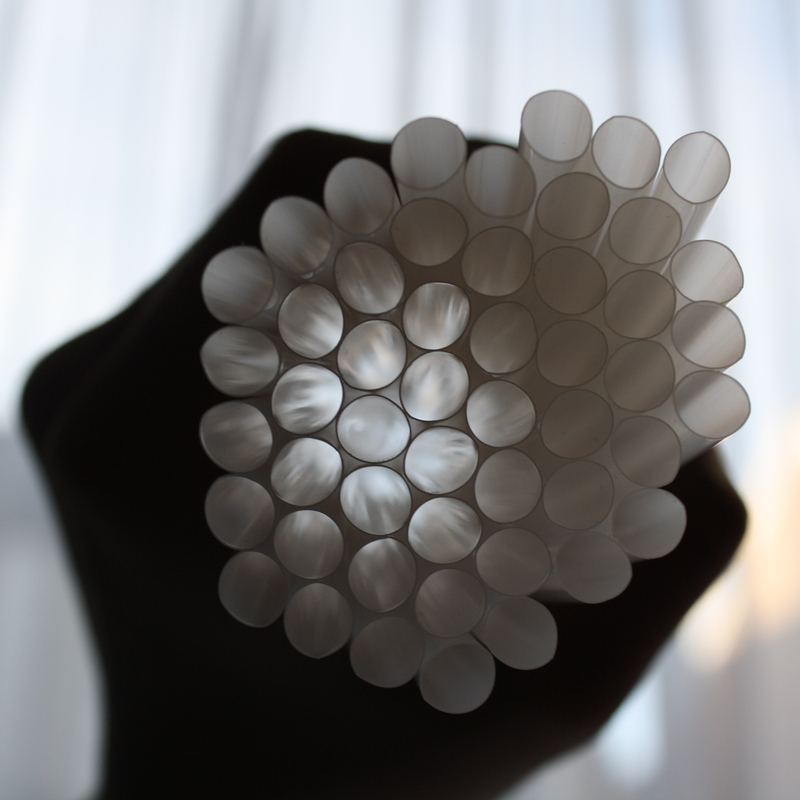 When it was dry I took the plaster out and pulled out the straws. These are a couple of photos I took through the piece. It’s taken me a while to post any of my work for this project because I have been concentrating on my portfolio. I have been offered interviews for all the Universities I have applied at! So nervous!!! Anyway here are a couple of ideas I have been working on for this Space project. This first piece was done by poring ink into a bottle of bubbles and then blowing them repeatedly onto paper. I love the effect this creates. It reminds me of atoms, which is another thing I am researching for this project; the atoms that are in the air that fills the space around us. 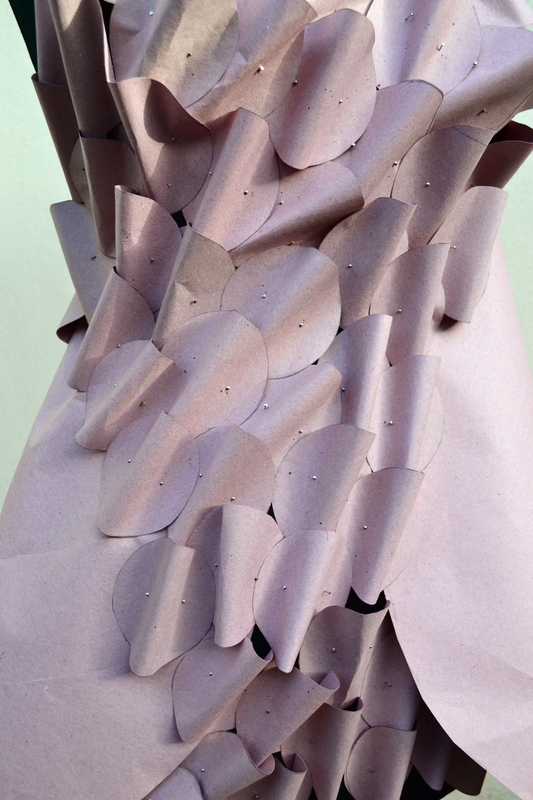 This second idea is a paper dress I designed as part of a task using only circles. This was really fun to do! Also really great because I thought of combining these two ideas by blowing more bubbles onto the dress. Get to be a little child again! Haha. Will be posting more soon. 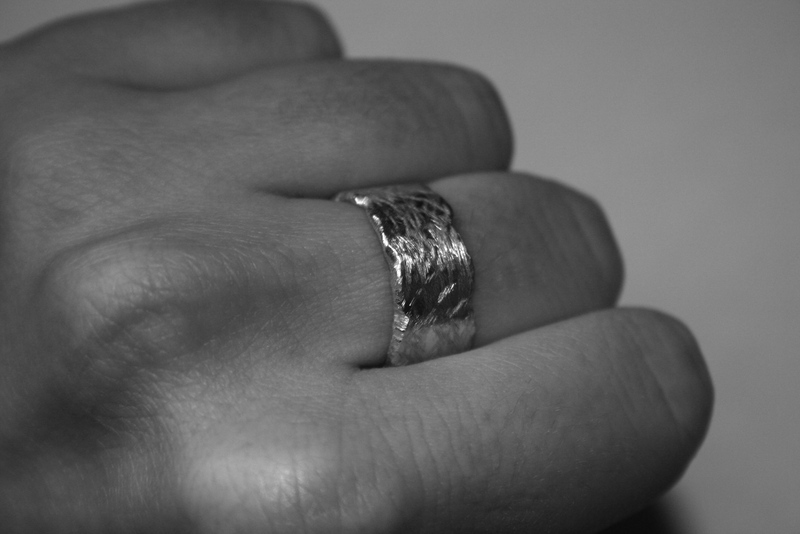 Finally taken photos of my jewellery. 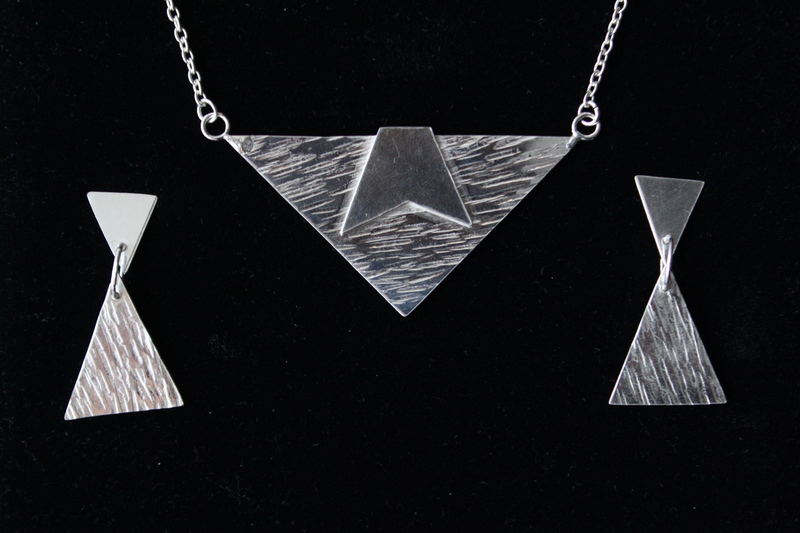 These are the first pieces of silver jewellery I have made in my Silversmithing class. I’m really pleased with them! They are so shiny! If you follow my photography blog you will already know I am starting a new project in college. The theme of my new project is Space. But what is Space? It is not empty. The space around us is filled with air; gases which are invisible to us. I am looking at things which contain air and also how I can visually demonstrate this and solidify this invisible substance – creating, in a way, negative space. As space/air is invisible to our eyes it is a difficult subject to collect visual research on. So far I am researching the artist Rachel Whiteread who casts the interior, or negative space, of buildings, bookshelves and other spaces. How else can I show this invisible space? Any ideas for me or artists I should look at? Just to say Merry Christmas here is the card I made for my family. Exhibition went up Thursday evening! Had it all ready just 10 minutes before the opening. Finally had a taste of how stressful these things can be! Was so pleased of how it turned out in the end though! Sad it will be coming down so soon! See what you think. This work is based on my personal memories and the nature of how we remember moments of our lives and the people we share them with. I was inspired by Anna Lewis’s work, in particular her feather jewellery. The feather is a very good symbol for memories, feathers are fragile and beautiful and in the transferring of images details are lost just like how the details of our memories fade over time. The patterns transferred onto the feathers are made up of treasures and objects from moments of my life. They include pages of books, postcards, lace, jewellery and other treasured pieces of my memories. The threads they hang from are thin and fragile showing the weak hold we have on our memories. I have also made a book of memories of my family holidays in Scotland. I made this as an attempt to contain these memories, to protect them from fading or being lost altogether. Over the last three weeks I have been working on a project of my own choice. I chose to base it on memories. I was inspired by Anna Lewis‘ work which I adore. I have almost finished this work and in college we have an exhibition coming up this Thursday in Llwyn Y Bryn. These are some small feathers that I have transferred patterns onto using turpentine. The patterns are all related to personal memories, they include a music box, post cards, invites, butterflies, lace and jewellery. I am hoping to frame some and suspend the rest for the exhibition. Hi. I’m Hannah. I’m a Foundation Art student in Gower College Swansea. You may have already seen my blog http://hduncanphotography.wordpress.com/ on which I post my photography work. I have just created this blog so that I can also share my other work with the world. Please check out my photography if you haven’t already seen it and here is some textiles work I did last year in my A level Textiles. This work is based on High Tide, a beach in Scotland. I really like to combine my photography with my other work so I have also included the original photos.